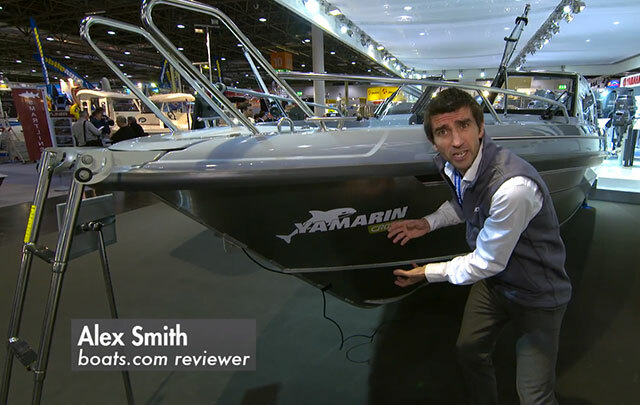 boats.com reviewer, Alex Smith, steps aboard the De Antonio D23 Cruiser for a quick tour of this Southampton Boat Show debutant. 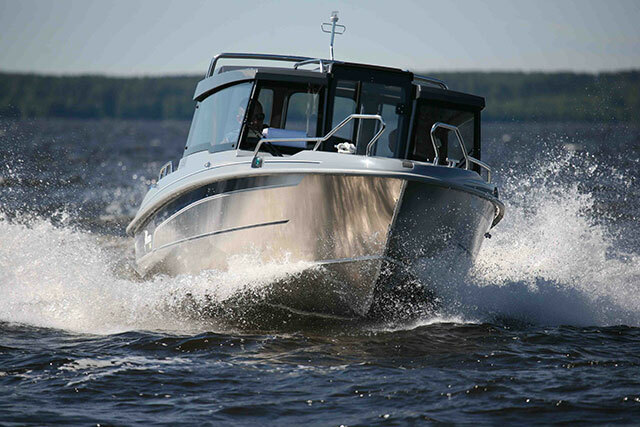 A relative newcomer to the world of powerboat cruisers, De Antonio yachts was founded in 2012 in Barcelona with a mission to "innovate and build boats that combine simplicity and cutting edge design, while providing new solutions and concepts to improve efficiency, usability and performance." 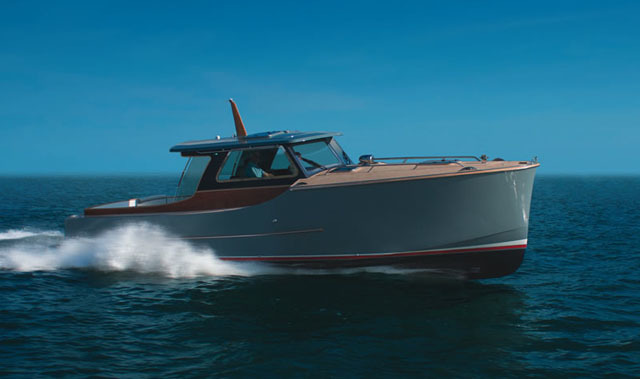 Decide for yourself whether the D23 Cruiser meets these ambitions by watching Alex Smith's First Look Video filmed at this year's Southampton Boat Show. 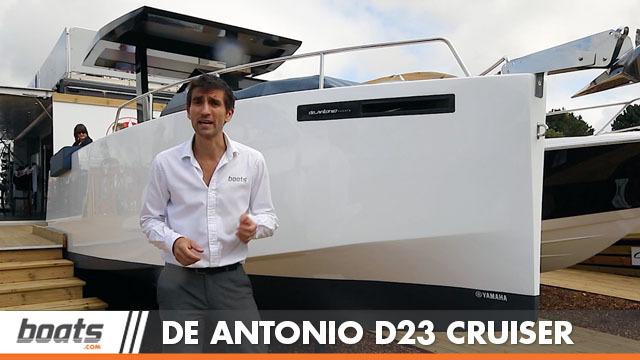 De Antonio D23 Cruiser first look video. Alex highlights the designers' clever use of space aboard the D23 Cruiser model – one of three D23 versions available. 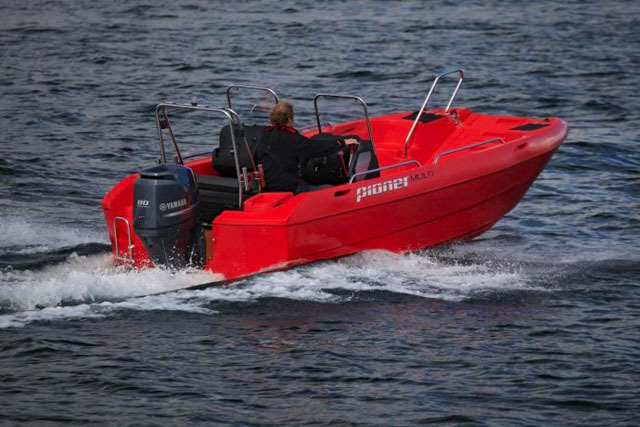 At the stern, the outboard engine is encased in fibreglass to enable the rear seat to extend aft turning it into a sun pad. 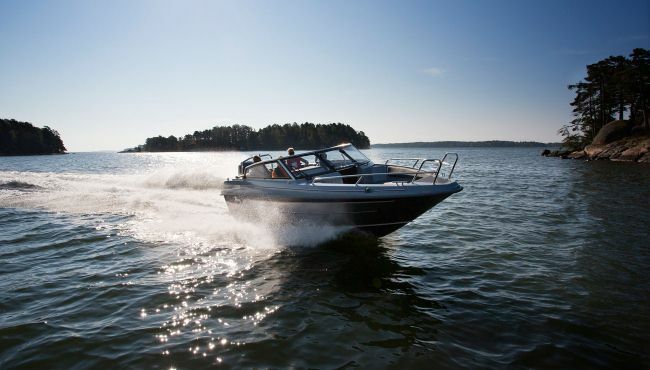 Each gunnel sports a cushion providing extra seating at either end of the central dining table or acting as a built-in fender when coming alongside. Down below in the bow cabin, there is room beneath the square cushions for a camping stove, a sink and a chemical toilet. 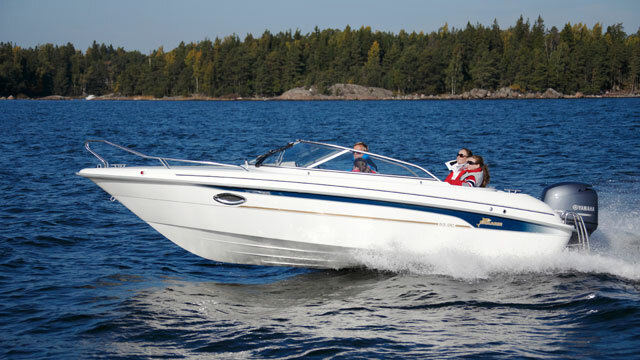 All in all – well worth a look for anyone interested in a 23ft cruiser that breaks the mould a bit. 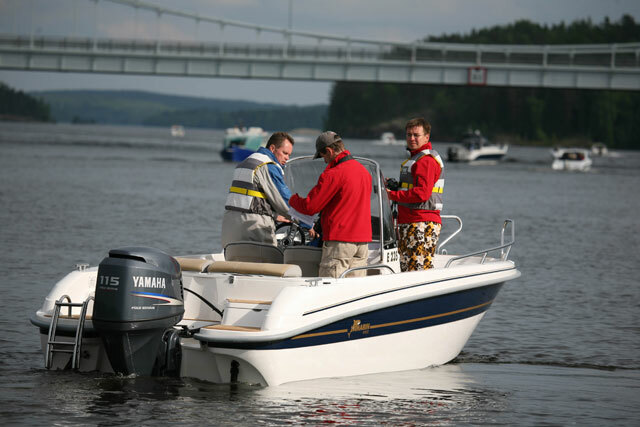 Or for an interesting comparison, see: Yamarin Day Cruiser range redesign announced or Quicksilver Activ 805 Cruiser: first look video.